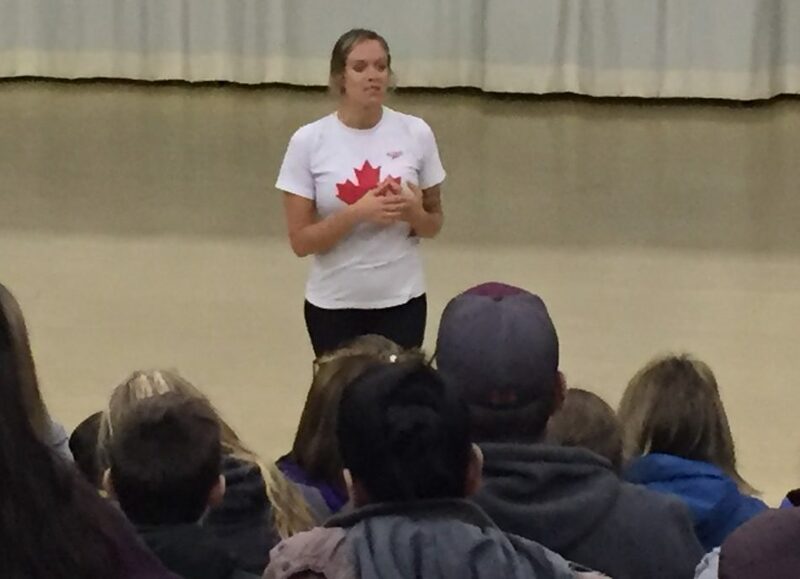 A Canadian Bronze medal winner at the 2016 Rio Summer Olympics was a splash hit with young swimmers in the Cariboo. 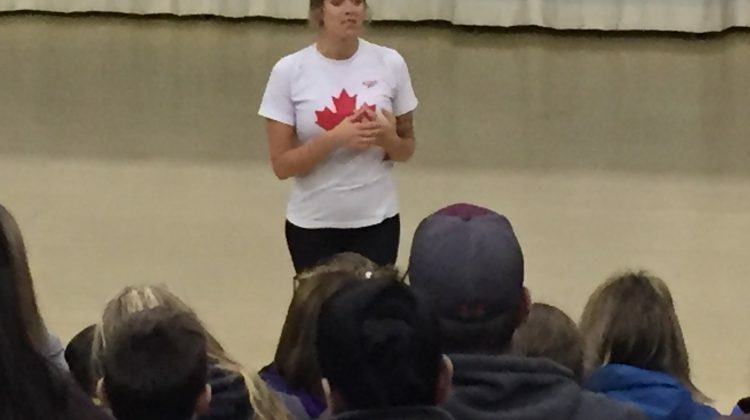 On Monday, Hilary Caldwell was in Williams Lake to spend some time in the pool with the Blue Fins swim club followed by a half-hour talk in the Gibraltar room about her career. Caldwell said the time she spent with them was a great success. “They’ve been excited,” she said. Caldwell said her visit wasn’t only to help the kids with their swimming careers but how hard work and dedication will also help them with their life skills. “I like to talk to them about how these skills apply and the goal setting that they learn, and the hard work and ethic and that kind of thing that they learn,” Caldwell said. Before stopping in the lake city Caldwell was also in Quesnel this past Friday.